A Tough Decision but here they are! Cadence Biomedical: Kickstart™ a mobility device that amplifies the strength of weakened muscles by utilizing a tuned system of long springs and cams paired with an external support structure, allowing individuals to walk longer and faster while rehabilitating muscle and nerve function. MobileMedTek: ElectroTek – a medical device that condenses 5 major electrophysiological tests into a single unit that dramatically increases the accessibility of data through real-time technology while reducing the process time by 70% and the size of equipment by 75%. 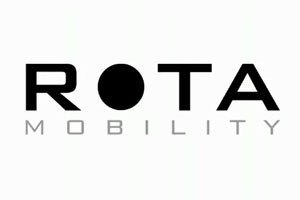 ROTA Mobility: RoTRike, RoChair, and RoScooter – manually propelled wheelchairs providing exceptional mobility and freedom (without the risk of RSI) utilizing a biomechanical breakthrough enabling it to climb hills and traverse easily over uneven terrain. SilverSeeker: Customized social networking platform a private online portal (with many FaceBook-like features) exclusively for 55+ active lifestyle communities, helping them connect based on shared interests, and facilitates communication with management. CareMerge: Complete set of mobile and web apps revolutionizing communication and care coordination for senior living facilities. Caremerge solutions allow communities, families, and care providers to connect and exchange critical information so care decisions are made in a timely manner. With our solutions, communities can automate compliance, retain employees, reduce costs, engage families and most importantly stand out in a very competitive industry. Assisted Technology Products, Inc.: HydroCare – a wireless personal hydration device that allows people of all abilities to take a drink of water with ease (device also wirelessly communicates all collected data with care provider), ensuring proper and safe hydration while reducing staff responsibility.